- Below is video of former WWE talent Serena Deeb talking about returning to the company for The Mae Young Classic. Deeb, who was a member of The Straight Edge Society with CM Punk & Luke Gallows, talks about growing up as a wrestling fan and getting into the business. She retired from the ring 2 years ago and has been teaching & writing about yoga since then. She says WWE contacted her about 3 months ago to compete in the tournament and it was a no-brainer. While this is her first time back in the ring in 2 years, she's excited and more confident than ever. Deeb says the empowerment & strength she's bringing to the ring today is maybe something she neglected to bring in the past. She feels better than ever and believes her contendership in the tournament will be very strong. 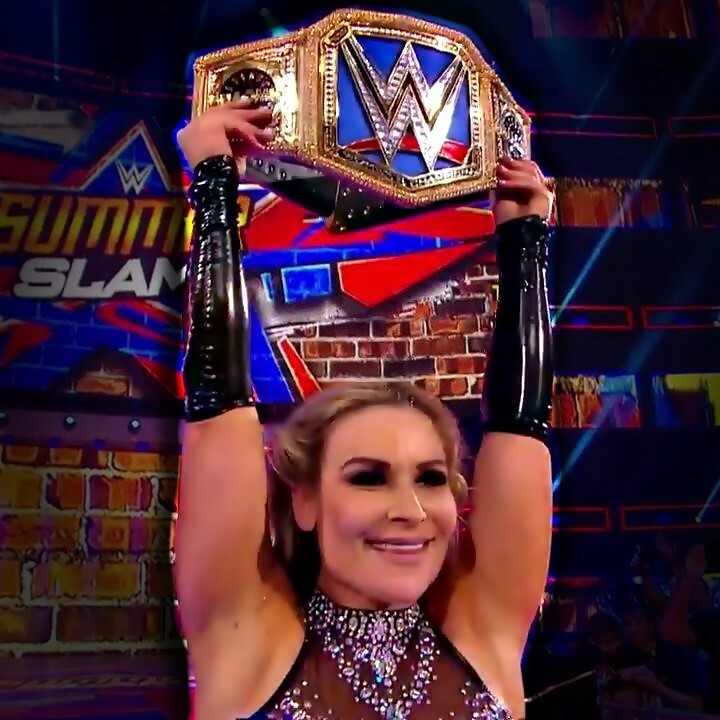 "I can't stop myself from replaying that moment when Naomi tapped out to the Sharpshooter and the ref signalled the end of that match, and my women's championship drought. I was so happy that I was shaking and wanted to burst into tears when I took that title and launched it above my head. So lost in a moment that I've dreamed of since I was a young girl that I almost forgot to stay in character. I am currently a "bad girl" in the WWE! I composed myself and saved the tears for when I got backstage. I also should have worn waterproof mascara, but I digress. Raising that championship, which has been held by so many great women before me, symbolized so much for me. Not only I am representing the WWE's talented women's division, but I'm also a role model for young girls around the world chasing their own dreams. For most of my life, I've envisioned that moment I was crowned the women's champ. After 10 years in WWE, my vision became a reality. My journey to winning the title wasn't easy, and I'm actually grateful it wasn't. That, in itself, is a blessing. Every bump in the road, every feeling of doubt, every heartache and heartbreak, every moment in which I didn't know how much more I could take, I just kept going. I didn't realize how strong I could become by falling down so much and getting back up time and time again."